Captain America star Chris Evans has taken to social media to slam US President Donald Trump over his latest controversial tweet on the climate change. 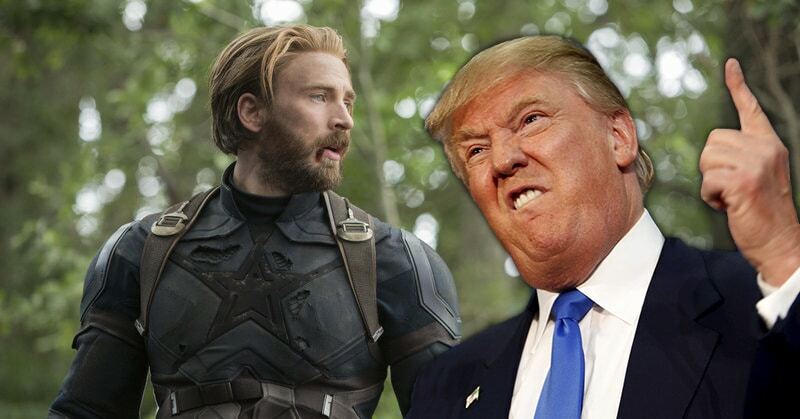 Donald Trump slammed by Chris Evans for the climatic tweet. Also Read:Batman and Teenage Mutant Ninja Turtles Crossover Film Announced. Either you STILL don’t understand that weather is not climate despite literally everyone explaining it to you every time you tweet this ignorance, or you just don’t care, and you’re deliberately misleading your base. Chris Evans will be next seen in Avengers: Endgame which hits the theaters on April 26. Avengers: Endgame is helmed by Joe and Anthony Russo, and is expected to star Robert Downey Jr., Chris Hemsworth, Mark Ruffalo, Chris Evans, Scarlett Johansson, Benedict Cumberbatch, Don Cheadle, Tom Holland, Chadwick Boseman, Paul Bettany, Elizabeth Olsen, Anthony Mackie, Sebastian Stan, Danai Gurira, Letitia Wright, Dave Bautista, Zoe Saldana, Paul Rudd, Jeremy Renner, Brie Larson, Josh Brolin and Chris Pratt.